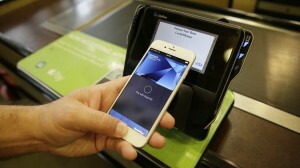 Apple Pay mobile payments is changing the way consumers and businesses conduct business. Nobody likes waiting for anything. This cultural allergy towards lines is only getting worse. With pay as you go features, the concept of lines to pay will slowly become obsolete in all environments. The previous statement is true, but one way or another, digital payment will be widely used. It may not be Apple payments, but digital payment will flourish sooner rather than later. Paypal is Apple’s only major competitor in the mobile pay space. Unsurprisingly Samsung is also working on creating a digital payment platform. Check out the Samsung update from The Wall Street Journal. For more information on Real Time Action please email us at info@realtimeaction.com or visit our sister company William Ryan Group.